Today’s podcast features a recording from the Timothy Leary archive. According to the label on the file, this is a recording of a television show that originated in Toronto, Canada. It was called Enterprise, or something like that, and this program took place sometime in 1983. The guest host that night was none other than Dr. Timothy Leary, and his topic for discussion that evening was Artificial Intelligence. 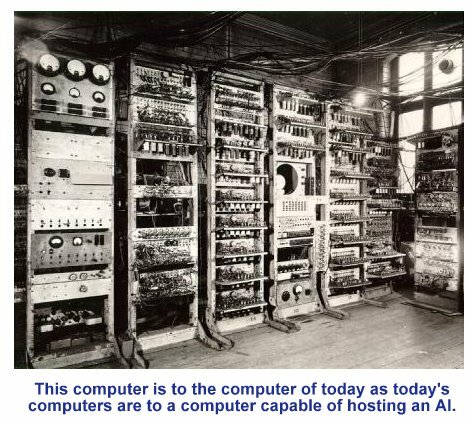 … For me, one of the highlights was to hear a famous MIT professor predict that home computers would never catch on! (Note: There is no direct link to the above podcast. Posted in 2012, Extraterrestial, Science & Technology, Timothy Leary.